This short film was recently nominated for the Viral Video Awards and has been presented at the Annual Conference of the German Council for Sustainable Development in Berlin. During our second and third week we were all given two texts to read, one that we present and the other to prepare questions. Basically the text will be our theoretical or and research departure point so it is important for use to share each other our own understanding of the text and its value for our project. We also point out which part that are interesting and important points of the text we might find useful for the projects. 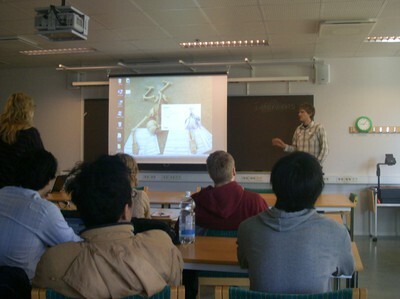 The presentation was held on 8,9,12,13 April 2010 in the Mark Room, Geovetarcentrum. Below is the list of literatures we discussed. Furthermore we will post the review of the literature or attach them so you can download them. 1. SMHI (2006). Klimatunderlag för sårbarhetsanalys Göteborgs stad – Etapp 2, sannolikhets och riskbedömningar. SMHI. Rapport Nr. 2006:16. 3. McLaughlin, P. and Dietz, Thomas. (2008). Structure, Agency and Environment: Toward an Integrated Perspective on Vulnerability. Global Environmental Change 18 (1): 99 – 111. 1. Geels, F. W. (2010). Ontologies, socio-technical transitions (to sustainability), and the multi-level perspective. Research Policy (Article in Press). 2. Steven Cork et al. (2005). 4 Scenarios. Chapter 8 in Ecosystems and Human Well-being: Scenarios. 3. Scholz, R. W. & Tietje, O. (2002). Embedded case study methods. Integrating quantitative and qualitattive knowledge. Thousand oaks: Sage. (Especially Chapter 4: The Architecture of Knowledge Integration in Embedded Case Studies, Chapter 9: Formative Scenario Analysis, Chapter 11: Multi-Attribute Utility Theory, and Chapter 12: Integrated Risk Management). 4. Polk, M., Knutsson, P. (2008). Transdisciplinary research for promoting social change towards sustainable development. Environmental Education Research 14 (6): 643 – 653. 5. Halla, F. (2007). A SWOT Analysis of Strategic Urban Development Planning. The Case of Dar Es Salaam City in Tanzania. HABITAT International Vol. 31 (1): 130 – 142. 1. Hopwood, B., Mellor, M., O’Brien, G. (2005). Sustainable Development: Mapping Different Approaches. Sustainable Development 13: 38 – 52. 2. Kates, R. W., Parris, T. M., Leiserowitz, A. A. (2005). What is Sustainable Development: Goals, Indicators, Values and Practice. Environment: Science and Policy for Sustainable Development 47 (3): 8 – 21. 3. Rockström, J. et al. (2009). A safe operating space for humanity. Nature 461 (24): 472 – 475. 4. HUR 2050. (2005). Framtidsbilder av en Långsiktigt Hållbar Göteborgsregion omkring år 2050. HUR 2050. 5. Andersson, R., Bråmå, Å., Hogdal, J. (2009). Fattiga och Rika – Segregerad Stad. Flyttningar och segregationens dynamik i Göteborg 1990 – 2006. Göteborgs stad. 2. Yan Zhang, Zhifeng Yang, Xiangyi Yu (2009). Evaluation of urban metabolism based on emergy synthesis: A case study for Beijing (China). Ecological Modelling Vol. 220 (13 - 14): 1690 – 1696. 4. Folke, C. (2006). The Emergence of a Perspective for Social-Ecological Systems Analyses. Global Environmental Change 16: 253 – 267. We are the member of Project Management for Sustainable Development 2010. This year we have 17 students and 4 advisors(teachers) from diverse academic fields in University of Gothenburg and Chalmers. Put theoretical knowledge into practice! Interested in sustainable city planning from a human ecological perspective. Music, dancing, traveling, environmental and social issues, politics. I love to work on research. It gives me feelings of bringing something new and something useful to the world. Love music, dance, sports, photography, traveling, and movies. Enjoy cooking & experimenting on it. Love making friends all over the world. To learn how to work with people from other fields of knowledge, as a way to prepare myself for my working life where I see myself cooperating with stakeholders and parties with very varying interests and priorities." Bachelor Degree in Political Science (Örebro University) with Peace and Conflict Studies as main area. To see how public administrators are involved in the city planning and to what extent they have an environmental focus in their work. Also, to see how the city can be developed in terms of recreation areas within the city. Music is my main interest. Has dedicated 10 of my 30 square meters on building a studio in which I sit a lot! A bachelor's degree in Human Resource management from Örebro University with focus on psychology. One year of Human Ecology studies at the University of Gothenburg. Presently in the Master Programme in Global Studies at the University of Gothenburg. I have only been employed by one company, Poståkeriet Värnamo, where I was a driver delivering boxes to companies in Värnamo with surroundings. Otherwise I have played much football and been involved in Örebro SK Ungdom (football club for children) as a coach and lecturer. Presently I play with Lunden ÖBK here in Gothenburg. To begin with I looked forward to some practical work, and I still do that, but now I am also keen on learning from everyone in the group and testing all the education I have had in debates with others. I guess I will try to be the voice of nature (hmm, I should mention that I very much see humans as nature too), producing naive ideas that can be rejected later on, but that maybe creates discussion and some creativity. Well, I must say I know everything about sports in general, especially football. But lately I have noticed myself watching usual news rather than sports news, so I guess something is happening with me. I like training a lot, and me and my violinist Anna has a music project going on where I mostly play guitar and also some piano (someone has said it sounds like jewish folk music...) I am terribly interested in music and at the moment I am more or less in love with the music made by Owen Pallett, a canadien violinist and genious. I am bad in crafts. I worked as a teacher about 3years before I came Sweden to study about environmental management and economics at Gothengburg Uni. The biggest expectation is that I will master the things which I am unable to do now. Masters in Environmental Mangement and Economics.Gothenburg University. SPEK-Society For Protection of Environment in Kenya. I expect to integrate with the rest of my classmates n share information on the different backgrounds that we all have. Put in to practice the knowledge i will acquire throughout the course in our project case study. Interested in working as a group especially in big projects. Also I am very ambitious helping people solving problems. I’m mad at difficult and complex issues and problems, trying to find a best fitted solution for them. So the fact is that by taking this course not only my academic skills would improve but also my social ones. To work with people with different specific backgrounds and to achieve one project is a great advantage for my study. Also, I would like to know more about Gothenburg where I am. Watching and playing football, traveling around the world, meeting new people, cycling, running, organizing events, camping. Industry and telecomunications working experience. Great time with interesting people and interesting project. swimming, making great food and traveling. Good vine is also a plus. I enjoy meeting new people and evolving in every single way. Worked at an Environmental consultant at two different firms, Koucky & Partners and FluxSense AB. Worked at both Chalmers and the University of Gothenburg with teaching, research and coordinating projects in air quality and sustainable urban development. Worked at The Swedish Society for Nature Conservation (SSNC) (Naturskyddsföreningen) with congestion charges. That the project as a whole will push the knowledge base and ideas on sustainable urban development future and to give input to important planning processes for the City of Gothenburg. To learn a lot and have fun. Most of my experience is within the academia. I am currently working as a Ph.D. student in oceanography. My work is related to eutrophication problems and focuses on exchange of nutrients between sediment and overlying water on the Baltic sea and a fjord system north of Gothenburg. Apart from my academic work I have studied Spanish in Latin America and worked as a volunteer for environmental NGOs in Ecuador. Part time jobs during my years as a student includes waitress, security guard, park and green area maintenance and work in the health care sector. "From the past three years with this course I have seen our definition of sustainable development becoming more users friendly. By that I mean that it is not only a few words on a paper but something that describe how we can develop, plan and build our society to make it sustainable. I hope this year’s study will show how the area around the Gota River and all of us that use it can become sustainable. I am also looking forward to get to know a lot of new persons and see how they understand the concept of sustainable development." When not at work I spend much of my time rolling around on a mat with other people. The sport is called Brazilian Jiu-jitsu (no, it is not Capoeira) and you can find more info about it at www.grappling.se. I recommend everyone that do not dislike close contact to try it! 2009-2010; Postdoc., environmental coordinator, teacher, Department of Human and Economic Geography, Center for Regional Analysis, School of Economics at Göteborg University. 2007-2008 Researcher, environmental coordinator, teacher, Department of Human Geography, Center for Regional Analysis, School of Economics at Göteborg University. I have previously held doctoral position at Department of Human Geography, School of Economics at Göteborg University. I have been environmental manager for the project to introduce environmental management systems (ISO 14001) at the School, is currently working as environmental coordinator for the School. Approximately 10 years experience in the automotive and aerospace industry as NC services operator, planning engineer, designer, and technical consultant. Currently we are in the early phase of our project on sustainable development of the future Gothenburg river city and we would appreciate inputs regarding these matters. Therefore, we invite you all for attending the reference meeting where we can discuss more about the strength, weakness, opportunities, and threats of the Gothenburg river. Many people are considered to be variable knowledge about the state of affairs in a DISTINCT or geographic socio-cultural area. Whenever something of Importance that happens upon their concerns domain, they are to be likely be called upon to explain or interpret the events publicly. In this term they start to find the issues and objectives by observing the area, as we did in our project. The fact is that all projects log in research, observation, and collection of materials. Excursion as one way suggested data collecting and getting familiar with problem area by observing the problem area. Direct way commands as another way is information gathering, Sequence of Operations That Enabler the user to learn the commands Which change his data sets. The Distinction between the excursion and the direct way is because of the distinction between there plan and performance, or between knowing and doing. So the best way of doing comprehensive research is to combine different type of data gathering. On the 30 th March 2010, as the first step of starting our project, we start to observe the area of our study in five diffferent groups, EACH were responsible for part of area specified by documenting the day with photo and prepare a presentation. 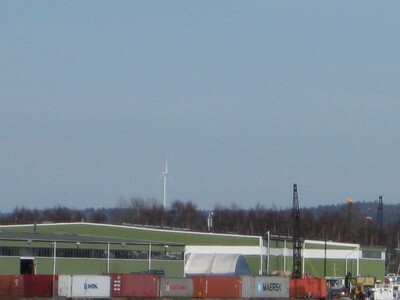 · DHL terminal and Gullbergsvass kay area. · Kungsten / Älvsborgsbron bridge. By observing the area, the strengths and weakness as well as potential and future possibilities of the area could be understandable more tangibly. After That observation EACH groups presented their own understanding of that area of the whole members. For example the first group started by their observation at Angered, passing the bridge, taking photos and discussing the strengths and weakness of that area, try to draw reason for them, like the inaccessibility to the river side, no social meeting place, non residential friendly and so on. They also "mentioned thats the linkage between both sides of the river was so weak and there was a new project of building a new tunnel completely close to the old one which seem questionable. They also "found thats the density of the area from the east side was so diffused and as you go more along the river up to center it was sensed both for residential and industrial area with these objectives. They came to this conclusion, that what would be the benefits as well as loss of Sustainable Development on that area. An old Swedish saying holds that a child that is loved has many names. Göteborg, Gothenburg, Gotemburgo, Gautaborg … I am counting. Well, this child is loved by many. Therefore it is our way to express a love to a child by preparing future sustainable development. 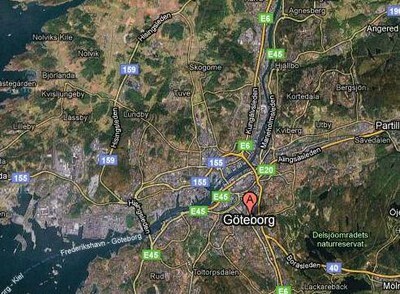 Greater Gothenburg, is a metropolitan area surrounding the city of Gothenburg in Sweden. 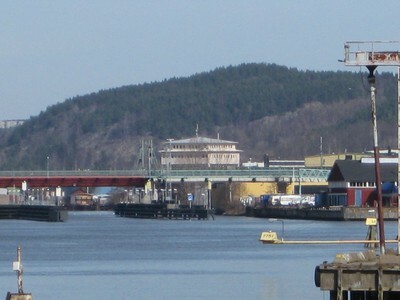 The metropolitan region is located in Västra Götaland County, except for the municipalities of Kungsbacka, which is located to the south in Halland County. As of 2005, the municipality of Alingsås and Lilla Edet were added to the region. With the current population of nearly one million individuals it is the second largest metropolitan area in Sweden after Metropolitan Stockholm. Meanwhile the City of Gothenburg (Swedish:Göteborg), is the second-largest city in Sweden (after Stockholm) and the fifth-largest in the Nordic countries. Situated on the south-west coast of Sweden, the city has a population of around half million people. The city was founded in 1621 by King Gustaf Adolf of Sweden. It is situated by the sea at the mouth of Göta Älv-the river running through the city-and is the largest sea port of the Nordic countries. Our focus of interest in this project will be the the future Gothenburg sustainable development of around the Göta Älv (Göta River). The Göta älv is a river that drains lake Vänern into Kattegat at the city of Gothenburg on the western coas Kattegat at the city of Gothenburg on the western coast of Sweden. 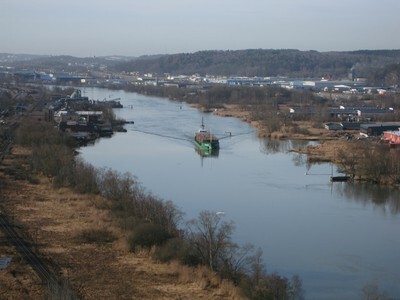 It is located in Götaland, with the river itself being a site of early Geatish settlement. The length is 93 km. Often the combination of Göta älv and Klarälven (a river ending at Vänern) is mentioned. This combination is the longest river in the Nordic countries, 750 km. The Bohus Fortress is located by the river at Kungälv. Here the river splits into two, with the northern part being the Nordre älv and the southern part keeping the name Göta älv. 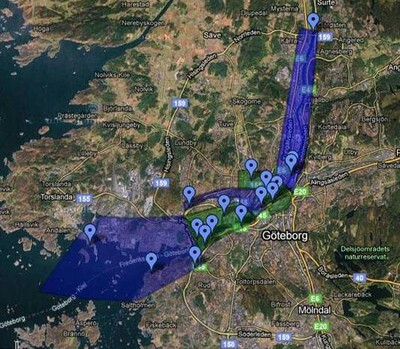 Meanwhile for this project the preliminary limitation of the river area is between Angered Bridge down to the mouth of the river in the western part of Gothenburg. At a glance the area has a complex and different landscape; housing, industries, transportation infrastructures; mixed with different interests and values. Therefore it is fair to say, it will be an interesting and challenging project to nurture the child we love into a better future. Welcome to the 2010 course "Project Management for Sustainable Development". The course starts on Monday 29th of March at 09.00 at Department of Earth Sciences (Guldhedsgatan 5A) in Room MARK OCH LUFT. During the course you are expected to work 09.00 - 17.00, Monday - Friday, with the project until the 5th of June. This year's project will deal with urban sustainable development in the face of climate change and will focus on the centre of Gothenburg, along the southern and northerns shores of Göta Älv. The present and future development of this city area involves a vast number of aspects, including environmental, social, political, economic and cultural. It furthermore contains local as well as regional, international levels and scales. During the course you will work in cooperation with different stakeholders concerned with the future development of Göteborg, including representatives from the Gothenburg City Administration, the private sector, the general public and various interest groups. See you on Monday 29th of March!